Industry pioneer and co-founder of The Last Drop Distillers Tom Jago has died at the age of 93. 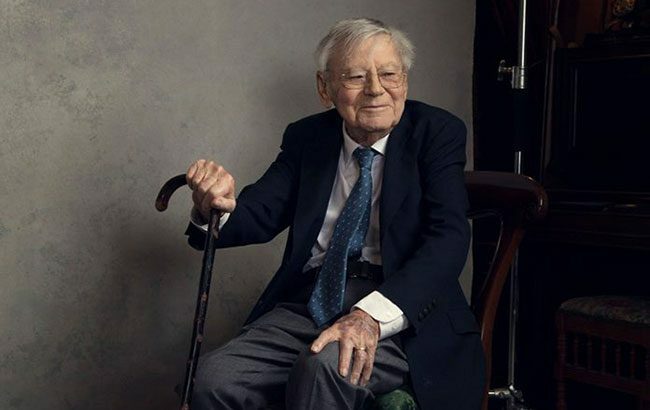 The Last Drop Distillers said in a statement: “It is with profound and heartfelt sadness that we announce the death of our co-founder and inspirational president, Tom Jago, aged 93. Jago, who passed away on Friday, founded The Last Drop Distillers in 2008 with James Espey. Before The Last Drop, Jago worked as the head of innovations at International Distillers & Vintners (IDV) and over the years played a key role in the development of disruptive brands such as Baileys Irish Cream, Le Piat D’Or, The Classic Malts and Johnnie Walker Blue Label. Espey and Jago, who worked together for over 40 years, founded The Last Drop Distillers with the intention to discover and bottle ‘the world’s finest, rarest and most exclusive spirits’. Educated in a remote village in north Cornwall and later at Oxford University, Jago went on to serve as an officer in the Royal Navy in the Second World War. After pursuing a career as a photographer, Jago moved into the world of advertising and later joined IDV, where he became acquainted with Espey. Jago left IDV in 1982 and joined Hennessy before rejoining Espey at United Distillers as head of innovation, and later Chivas and Whyte & Mackay. The Last Drop Distillers has been successfully passed on to a second generation, with Espey’s daughter Beanie and Jago’s daughter Rebecca acting as joint managing directors. Jago is survived by four children, six grandchildren and a brother. Jago’s wife of 66 years, Penelope, died earlier this year. His son, Dan, is chief executive of Berry Bros & Rudd.